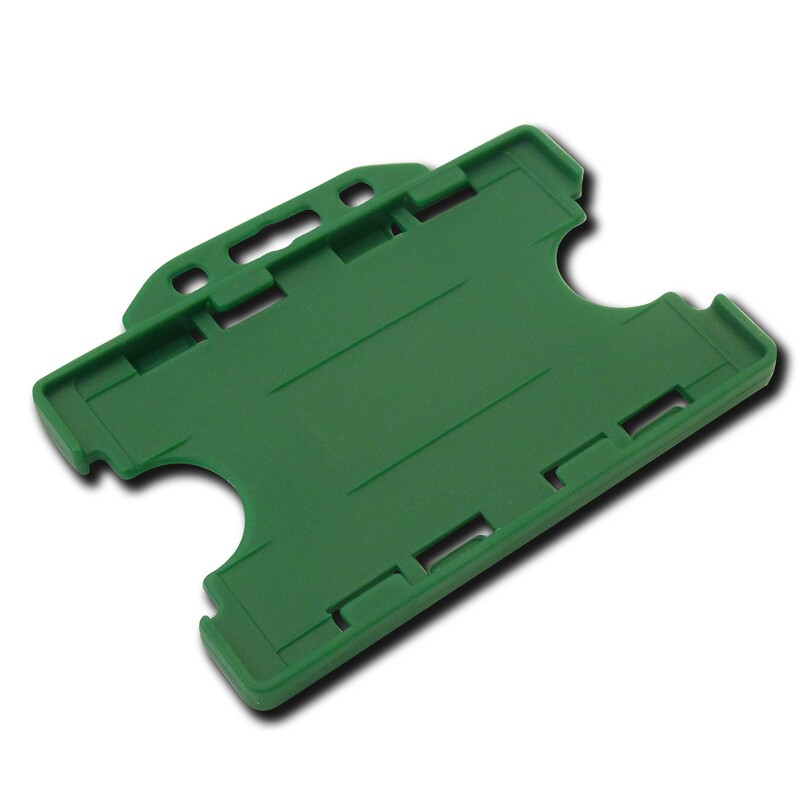 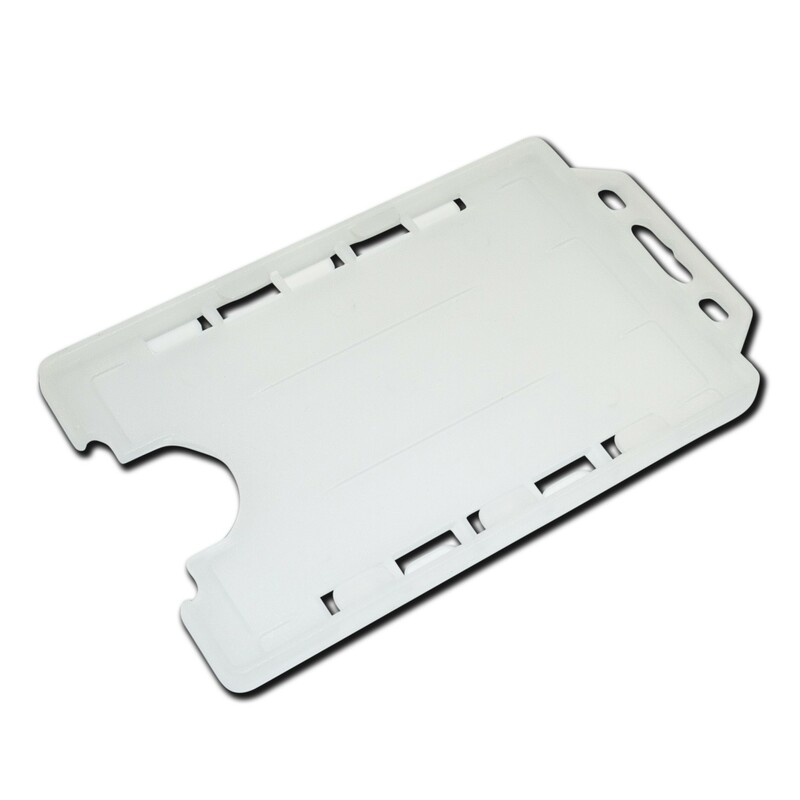 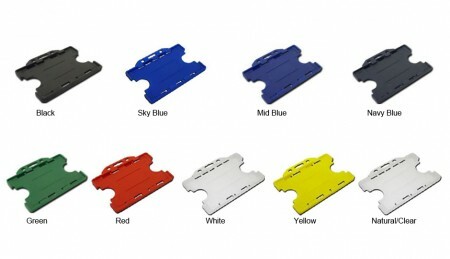 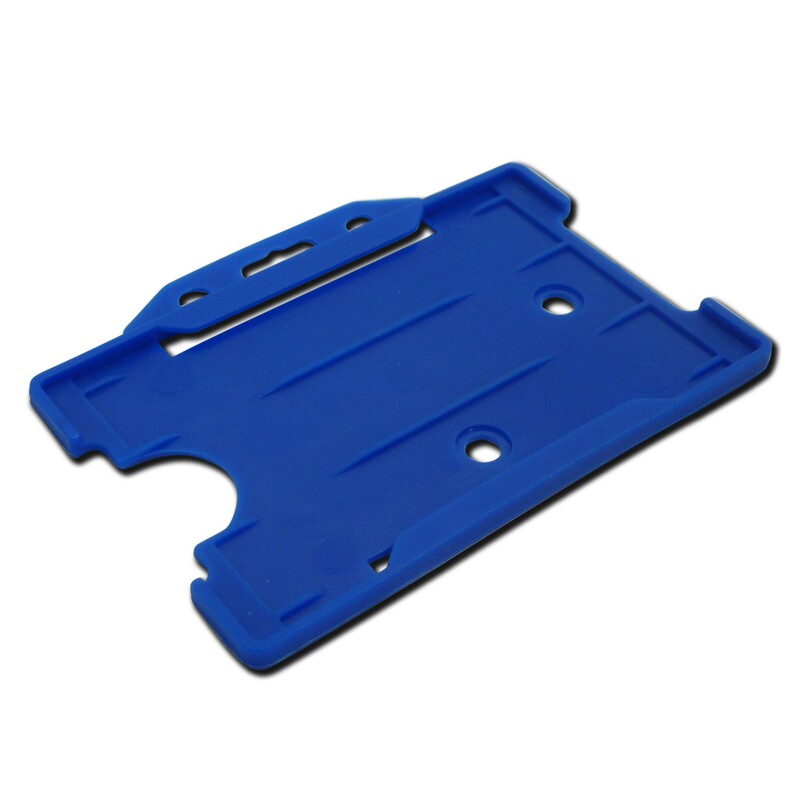 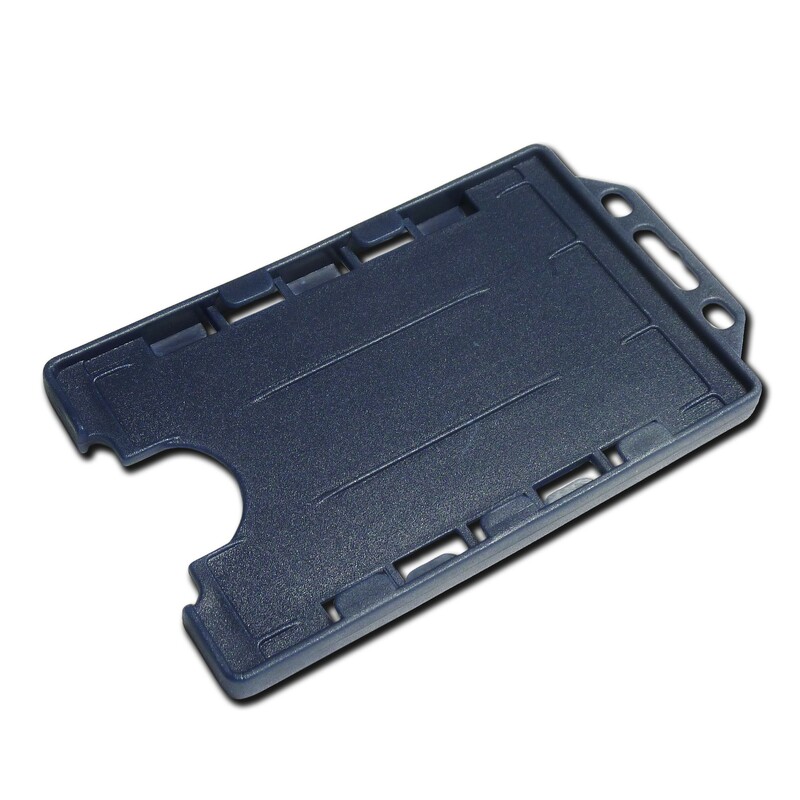 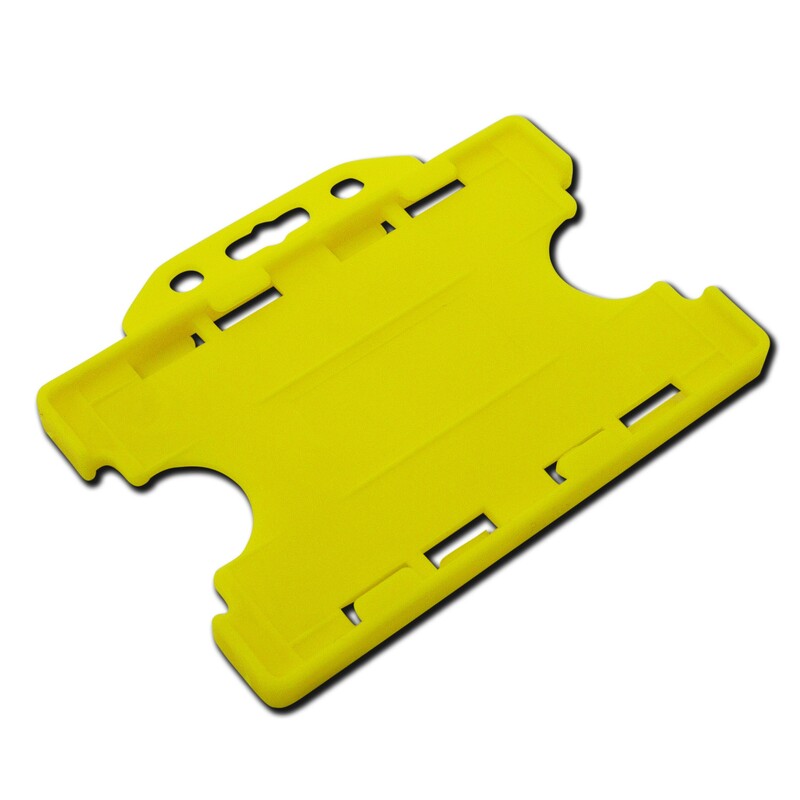 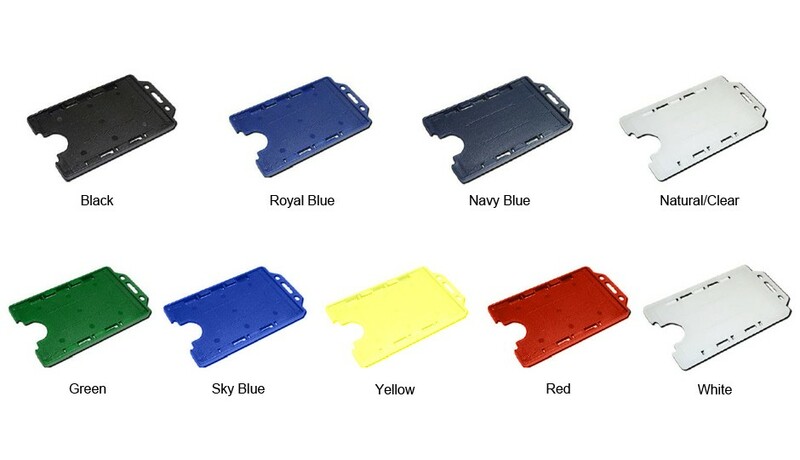 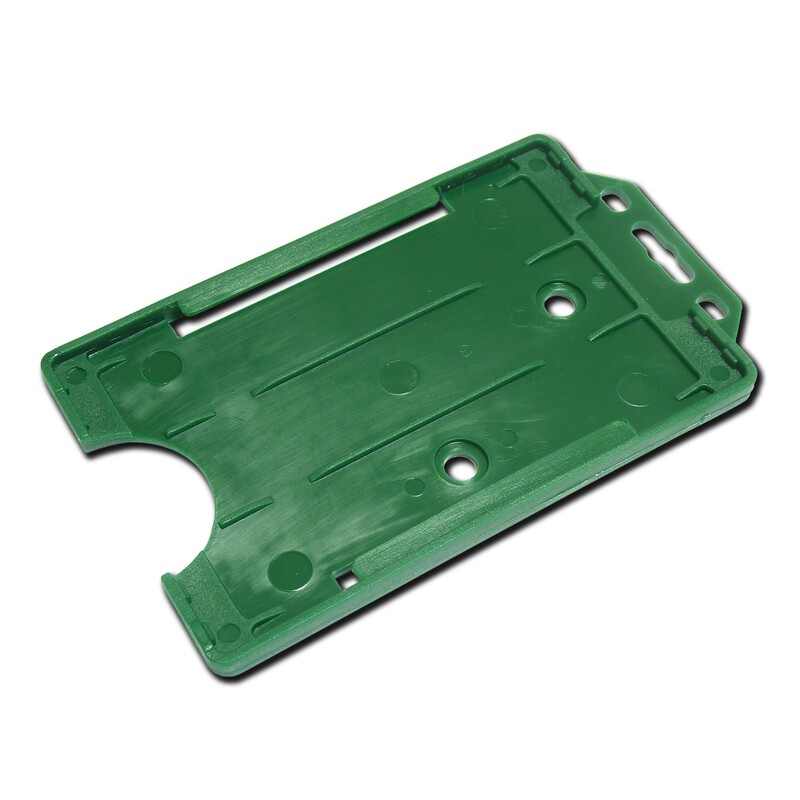 This is our most popular card holder which comes in a variety of colours. 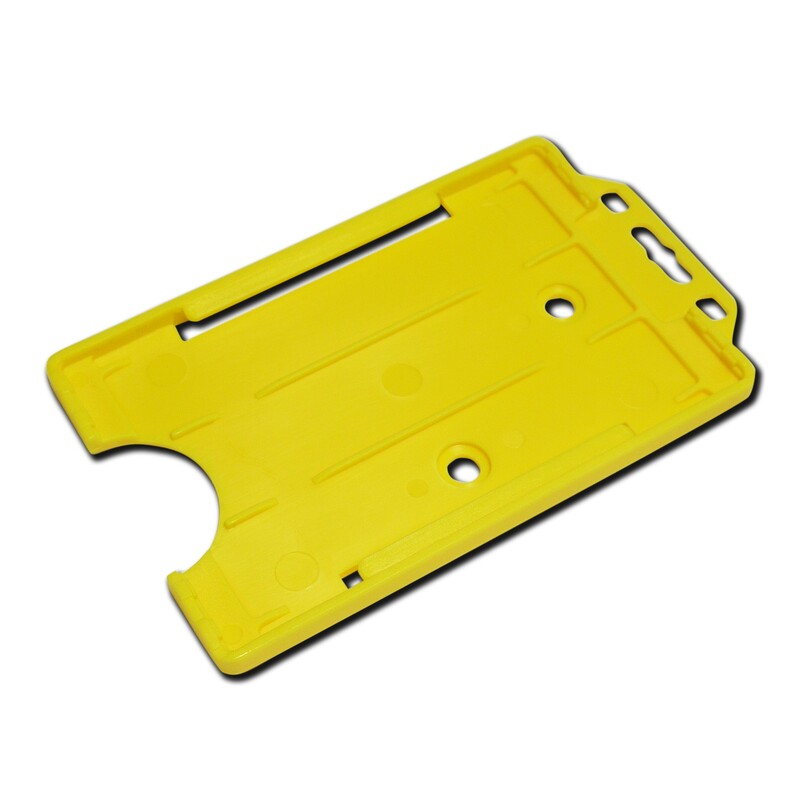 Made from high quality rigid plastic, this badge holder is durable, secure and with the use of a lanyard, convenient to keep on view for easy access control or identification. 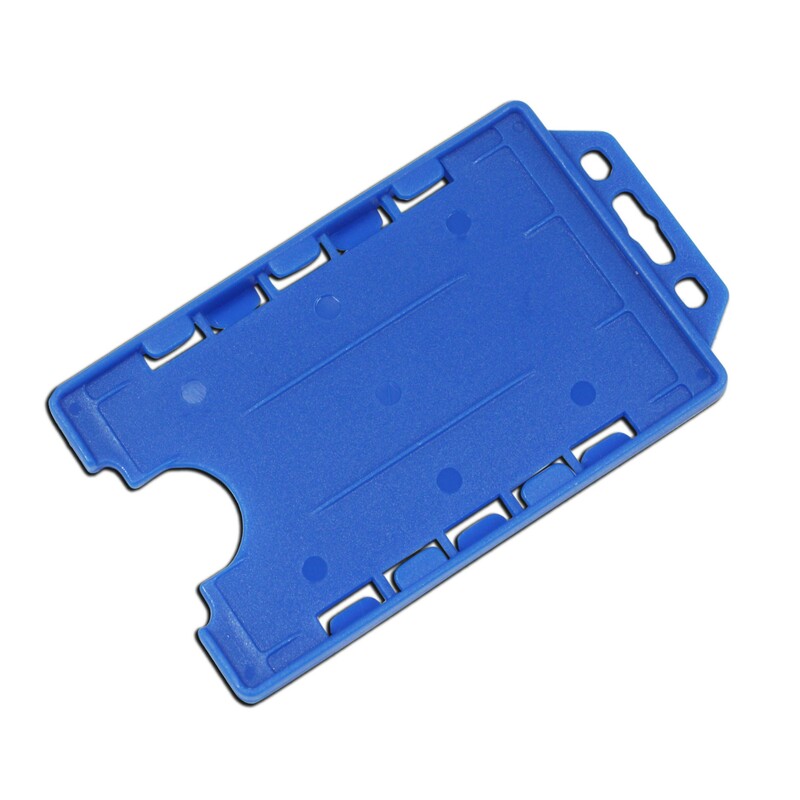 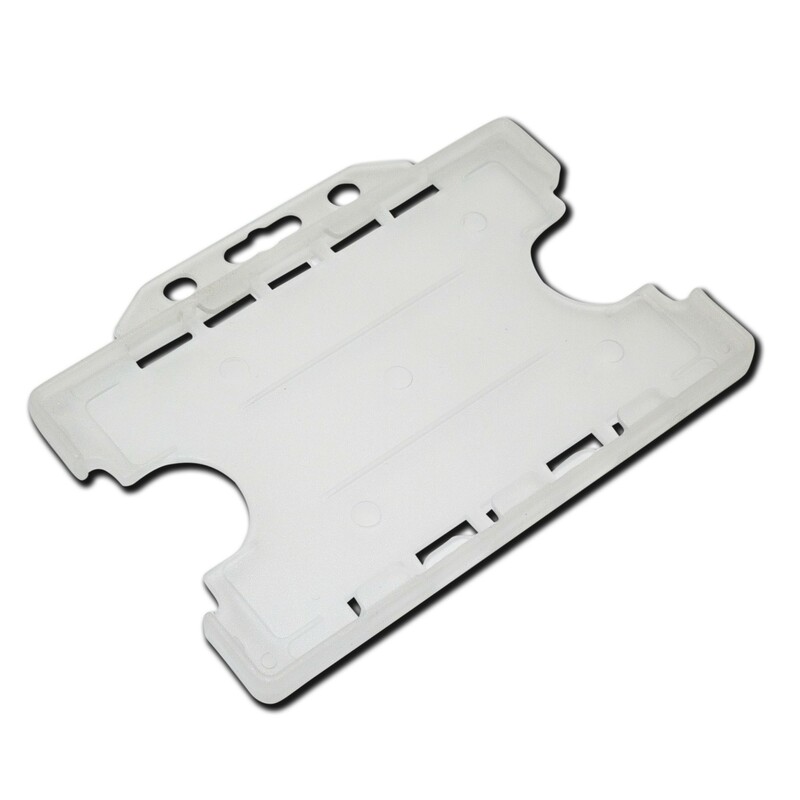 The holder takes credit card sized cards with double facing visibility, to show the front and back of the card or 2 cards that can be displayed back to back, and can be pushed in and out easily with your thumb when needed.